Phoenix Cricket Club, affiliated with the KwaZulu-Natal Cricket Union recently played Silver Saint Cricket Club in Chatsworth. 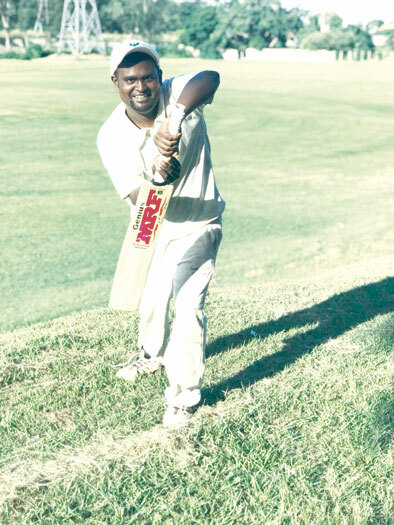 President of the Phoenix Cricket Club, Bradley Chetty said, “The overs were reduced to 30 overs per side due to the delay in the start of the match, Captain Shannon Kasaval from Phoenix Cricket Club lost the toss and was set to bat first. Chetty said that Daniel Moodley decided to accelerate the score and try and assist his team to better run rate after the drinks break at 15 overs Phoenix were at 57 runs with the loss of one wicket. spectacular to get his to team a winning score. “Matthew took the game to another level with hitting the home side for 14 sixes and 1 four setting his highest score in his cricket record to 109 not out along with his teammates which contributed to boost the scores, Mohammed Sharif 34 runs, Shiveesh Hansraj 12 runs, Daniel Moodley 26 runs, Vishal Rajkumar 15 runs, Assad Sharif 24 runs and Shannon Kassaval 19 runs. These top performances took Phoenix Cricket Club to a total of 244 runs and which won the game in a epic finish,” said Chetty. He said the Phoenix Cricket Club has been in existence for 25 years and offer voluntary services to the community. “We have both senior and junior teams and welcome all junior and senior players to join. Our goal is to ensure a bright and positive future for youngsters and keep them off the streets and direct the path for their future.” To join, contact the club secretary, Shanon on 072 636 2150.